Love. Live. Love. : Are you connected to your child? Are you connected to your child? You are trying to nurse a one month old when you notice that s/he is not really interested and begins crying. Then you think, may be, s/he is feeling sleepy and you get rocking in full speed. The child still does not seem to calm down. Then you get various thoughts in your mind and you can always choose the most appropriate one of them. You may be cursing your phase. You may be cursing your restlessness. You may be overwhelmed listening to the continuous cries. You may be thinking, oh, Why don't you just sleep now or Why don't you accept the feed or Why don't do calm down just once? Still, the environment doesn't seem to calm down. Now, try thinking this way. "Oh, leave alone what I want to get done. Please tell me what you are trying to convey me? Please tell me what you are trying to tell me? I am willing to connect to you, let me know what I can do for you?" Do you feel how pleasant your mind is, while reading the above response rather than the above listed reactions? Yes, responding to a child will shift your mental frequency to a positive band. 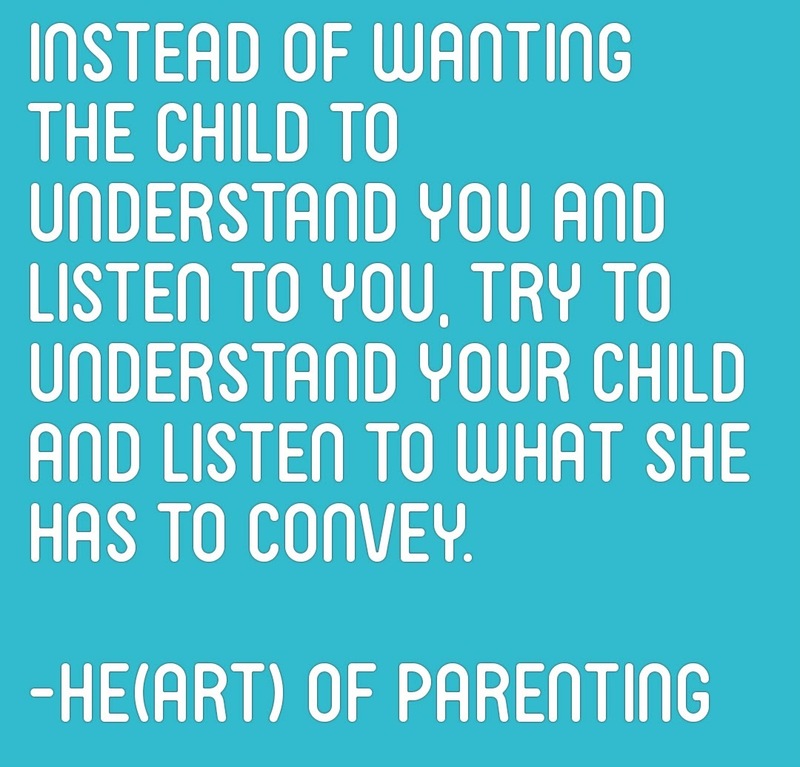 Or rather, you need to shift yourself to a better frequency band in order to connect to your child and respond in a loving way rather than reacting in a rush. Your 9 month old is not willing to eat what you offer. You become restless and try to over react to her denial. You try to force feed your child. But, the child says no. You only think of ways that will get the child to gulp all the food that you had to offer her. But, she has some genuine reasons for not being able to eat at that moment. She may be going through growth spurt, some physical development or cognitive development or emotional development or change in her taste buds, or change in her preference of taking food, may be she wants to have tiny pieces and not the mashed food? 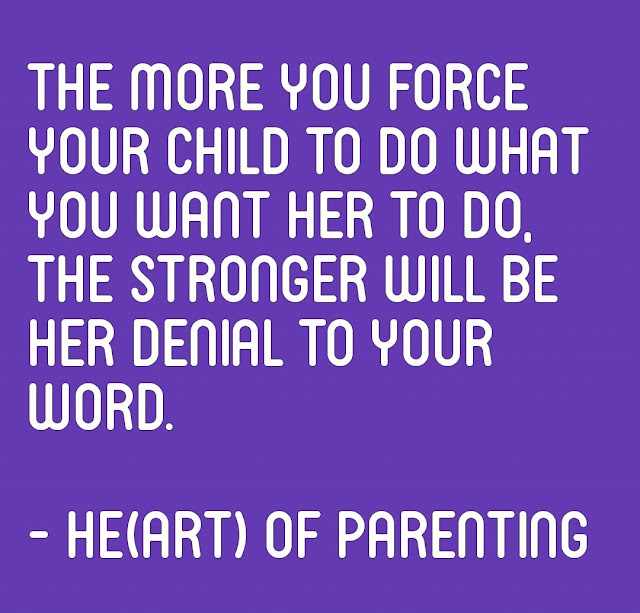 There is a whole list of genuine reasons for the child not being able to do what we want them to do right at that moment. But, as a parent, how many of us really care to think from this perspective? All we want to get done is the meal time. Do whatever, force her, threaten her, yell at her, but the meal should be complete. Isn't it? No, not at all. Just for once, the next time you have a conflict with your young child, try to think from the child's perspective to understand more of her reasons. Your 2 year old doesn't fall asleep as fast as you wish to have happened. Do you talk to her, connect with her, learn about her day to understand what's really going on in her mind that is keeping her awake? Or, do you threaten, yell at to shut the mouth so that you get done with your task of putting your child to sleep? 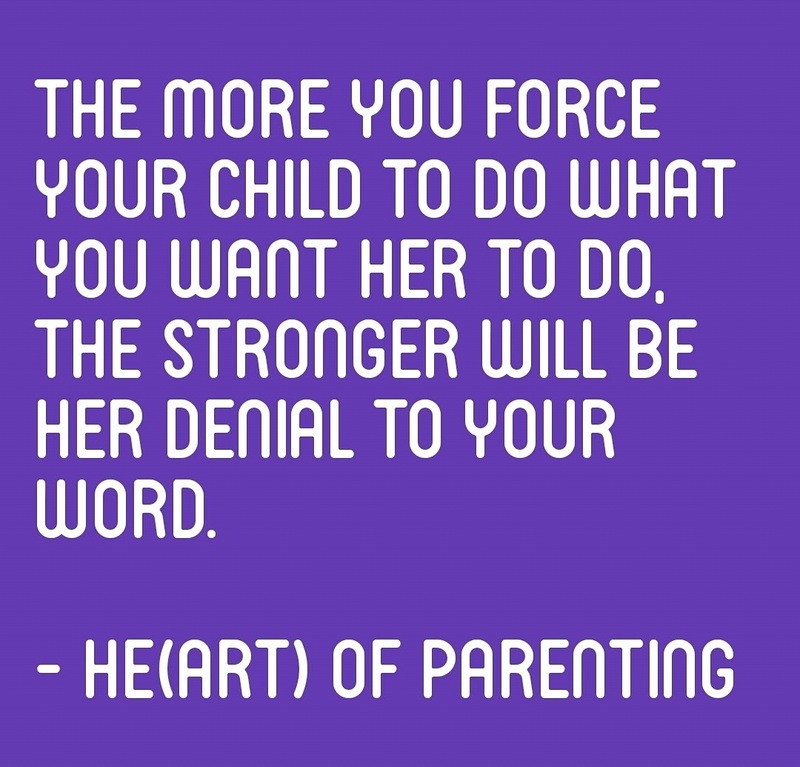 When conflicted with your child's actions, try to get to the level of your child's thinking. Though the child does not have the ability to explain in words, s/he conveys a lot in their behaviour. To understand the inner emotions of a child, you need to connect to the soul within, not just the physical being of your child. You have to look at your child as a whole being. Our journey of life is not just happening on the physical plane connected to other beings on physical level but we are all bonded by the emotional ties and spiritual connections. Let's keep the positivity alive. Happy Parenting.